Wow, my first President's letter! Thanks again for your vote of confidence in me. I approach this post with humility and gratitude for the support of an incredible Board and members who care enough to share their thoughts with us. At the Business Meeting in January, we shared some initiatives around BISG, webinars and more. 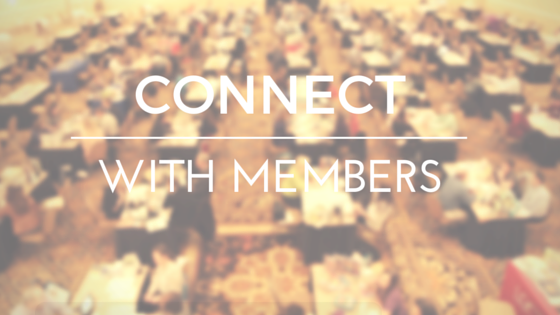 We encouraged all of you to weigh in with your needs for both of those things so that our committees truly focus on and represent the interests of the entire EBMA organization. If you find yourself unsure who to email, you are always welcome to contact me or other board members, and you can find all our contact information on the EBMA site here. Speaking of getting your input, we emailed a survey to all of this year's attendees and we hope that you've taken the time to use that forum to let us know what you think. In case you've wondered what we do with the results, we share your feedback with everyone on the board and at our Spring Board Meeting, we discuss how we can incorporate your ideas. Various committee members, in particular our 2019 Program Co-Chairs, Patrick Nelson and Mark Von Bargen, will be interested to learn how to make next year's meeting as relevant and useful for you as possible. If you haven't completed the survey yet, there is still time and you can find it here. So many people contributed to making the 2018 meeting a success, and I don't know about you, but I have so much appreciation and respect for the smart, engaged and nice people on our Board and at the Collie Gorg Group who made it happen. Planning for 2019 is already underway and we are already excited about it! I'm pleased to announced that Patrick Nelson of Mrs. Nelson's Book Company will serve as the Vice President of EBMA! Equally exciting are our two new wholesaler board members, Benjamin Conn of Classroom Library Company and Bryan Thompson of Steps to Literacy, LLC. Megan Quinn of Charlesbridge Publishing and Cletus Durkin of Penguin Random House also were approved to renew their board terms as publisher board members. Spring is just DAYS away, and that's a great time for thinking about how our organization can continue to bloom. All of us on the EBMA Board hope that all of your businesses continue to bloom and grow as well, and we look forward to serving and supporting you by sharing market and industry trends and information that aid in our collective success! The 2018 EBMA Annual Meeting was held on January 8-10, 2018 in Palm Springs, CA. The meeting attracted over 220 Wholesaler and Publisher Members. The meeting theme was Back to the Basics: Going back to school on the current state of funding, resources, and the needs of content users in schools and libraries. Program chairs, Diane Mangan of Baker & Taylor and Megan Quinn of Charlesbridge Publishing, designed the education sessions to give attendees a 101 overview of curriculum standards and funding. Attendees had the opportunity to learn what to expect in the next 12-24 months in the educational market and to hear from school, library and university experts about what their content users need from wholesalers and publishers. Meeting attendees were moved and inspired by author presentations which included authors Kate DiCamillo, published by Candlewick Press; Nicola Yoon, published by Penguin Random House; Angie Thomas, published by HarperCollins Publishers; and Steve Sheinkin, published by Macmillan Publishers. EBMA recorded the education sessions and author presentations, recordings are available to members and meeting attendees. Please click here to access audio files and PowerPoint presentations. On Tuesday evening, EBMA hosted a Trivia Night. It was an engaging and very fun evening for all. Trivia questions and answers have been posted, click here to view. Thank you to to all who were able to participate in this year's meeting. The meeting survey is still active if you've not had a chance to provide feedback on your experience. Please click here to provide your feedback. Board President, Joyce Skokut selected Patrick Nelson of Mrs. Nelson's Book Company and Mark Von Bargen of Macmillan Publishers as the 2019 Program Co-Chairs. They have already begun work on developing an exciting and engaging program. The American Library Association (ALA) announced on Monday, February 12, the top books, video and audio books for children and young adults-including the Caldecott, Coretta Scott King, Newbery and Printz awards-at its Midwinter Meeting in Denver, Colorado. Click here to view the official press releases from ALA and to view the 2018 award winners. EBMA'S BISG Committee attended a Keywords Seminar in NYC on February 8th at which it was announced a Revised Best Practices for Keywords in Metadata report was released on that same day. The report is free for BISG members and we would highly encourage our EBMA publishers to check out this new document as it is clear our industry is at an inflection point where the use of keywords is what will help drive discovery and the sale of your books. The Revised Best Practices for Keywords in Metadata: Guide for North American Data Senders and Receivers provides new guidance on how best to utilize keywords in ONIX metadata to maximize the opportunities for book product discovery by consumers, including on how to choose the best keywords for your content, how to structure keywords, where to place keywords in ONIX, and examples of keywords in use. A working group was formed in late 2017 to re-examine the previously released keywords document in 2014. In February 2018, the group completed and released the new guide. Click here for the guide. Next up is the BISAC Subject Codes Committee meeting in NYC on February 15th. 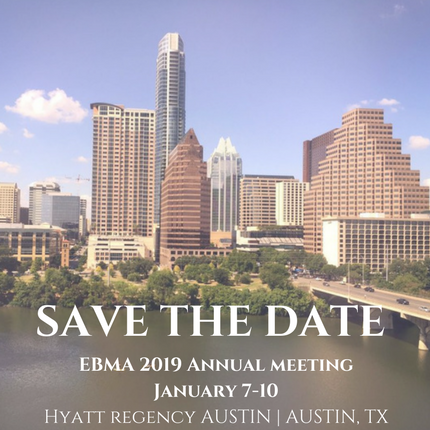 EBMA members are welcome to email committee members Jen Allen, Tim Ditlow, or Kathy Faber with any questions they would like brought up at the meeting. And, keep your eyes out for a new Subject Code survey coming later this month. The Webinar Committee is busy working on the next round of educational webinars to share with you, so please be on the lookout for invitations and more details! Catch up on the established and new educational resource programs run by the Children's Book Council and Every Child a Reader, from Best STEM to Children's Book Week and many more. With late-breaking news, this webcast will be moderated by Carl Lennertz, Executive Director. This will be a webcast released for on-demand viewing. The economy is heating up but how does that affect the education market and your business? Bob Stimolo, president and founder of School Market Research Institute has some recent information to share with you. 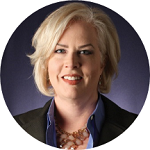 Bob will present results from SMRI's survey of school marketers for FY 2017 in a webinar especially created for EBMA members coming this March. In addition, he'll share a surprising comparison of how school marketers and school secretaries rank the effectiveness of various promotion and marketing media. A long time provider of services exclusively to companies that sell into PreK-12 education, Bob will include a rundown of the basic practices needed to assure continued success in this challenging market. .